If you’ve been keeping track of Lionsgate’s The Glass Castle during its meandering journey to the big screen, you’ll know that the big-screen adaptation of Jeannette Walls’ bestselling memoir acts as something of a homecoming for the Oscar-winning Brie Larson, who is poised to reunite with her Short Term 12 director, Destin Daniel Cretton. Four years ago, the filmmaker offered Larson the chance to headline said indie drama, and the actress clutched on to that breakout role with both hands, seeding a career that would go on to open doors into Room, The Spectacular Now, Kong: Skull Island and Ben Wheatley’s riotous Free Fire – not to mention the small indie project known as Captain Marvel. 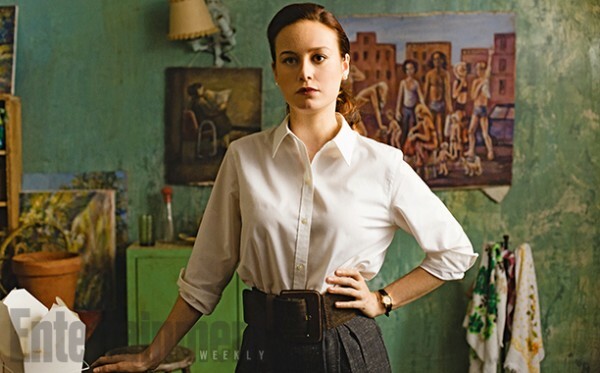 The latter is tentatively slated for March of 2019, but closer to home, fans of Brie Larson can look forward to her scaling The Glass Castle when Lionsgate’s adaptation hits theaters on August 11th. Word comes by way of Deadline, confirming that Cretton co-wrote the screenplay with Andrew Lanham. Naomi Watts and Woody Harrelson also star as Rose Mary and Rex, respectively, the deeply flawed parents whose “ideals and stubborn nonconformity were both their curse and their salvation.” New Girl star Max Greenfield holds a supporting role as David Goldberg. In the beginning, they lived like nomads, moving among Southwest desert towns, camping in the mountains. Rex was a charismatic, brilliant man who, when sober, captured his children’s imagination, teaching them physics, geology, and above all, how to embrace life fearlessly. Rose Mary, who painted and wrote and couldn’t stand the responsibility of providing for her family, called herself an excitement addict. Cooking a meal that would be consumed in fifteen minutes had no appeal when she could make a painting that might last forever. They say people who live in glass houses shouldn’t throw stones – but what about The Glass Castle? We’ll find out when the Lionsgate pic opens in theaters on August 11th.